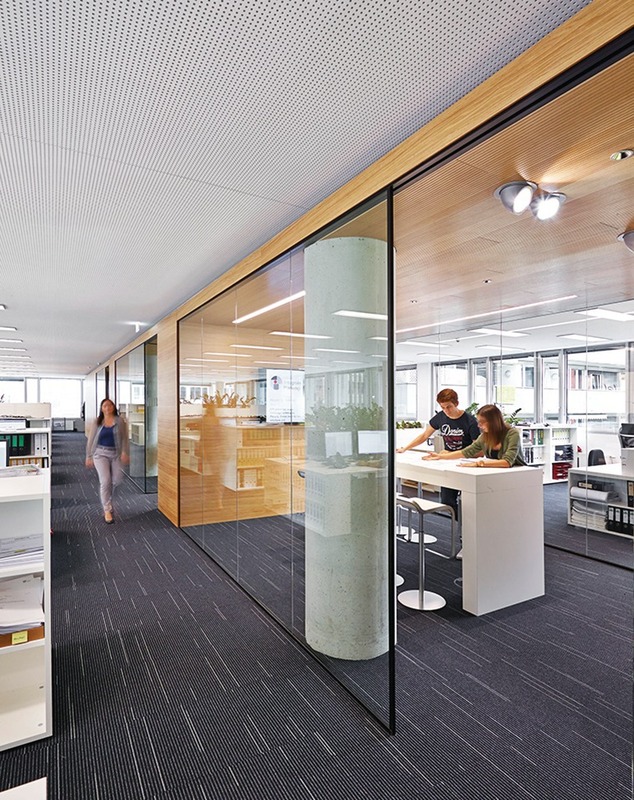 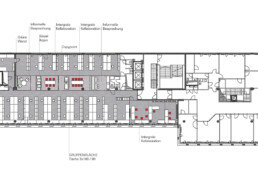 Design for new offices – specially adapted to integrated design processes. 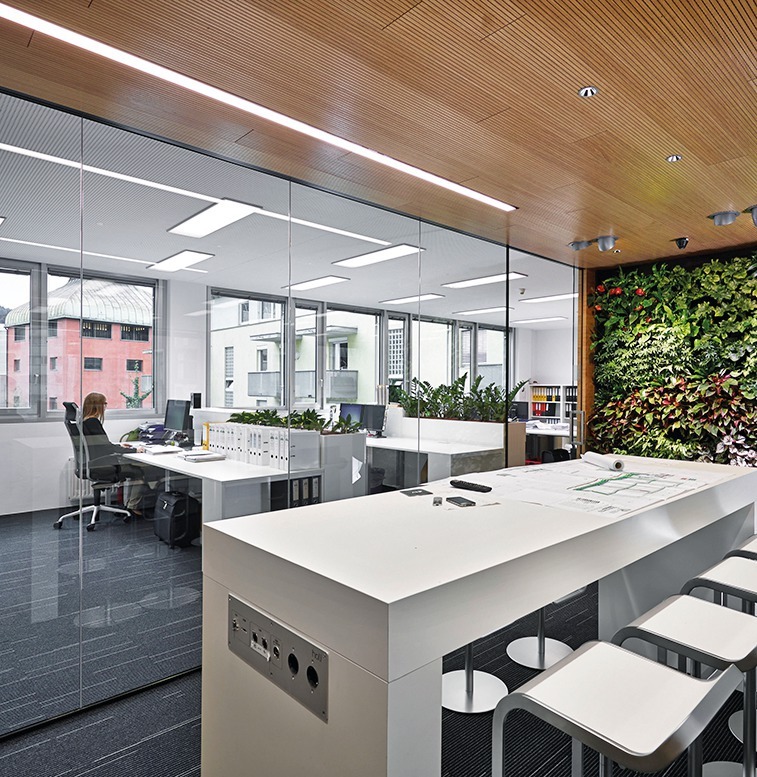 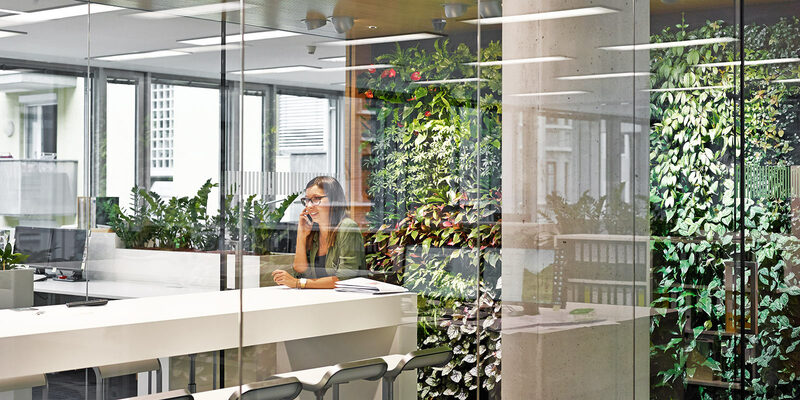 As space became free in ATP’s headquarters in Innsbruck, the opportunity was seized to carry out a comprehensive refit and create new workspaces for architects and engineers. 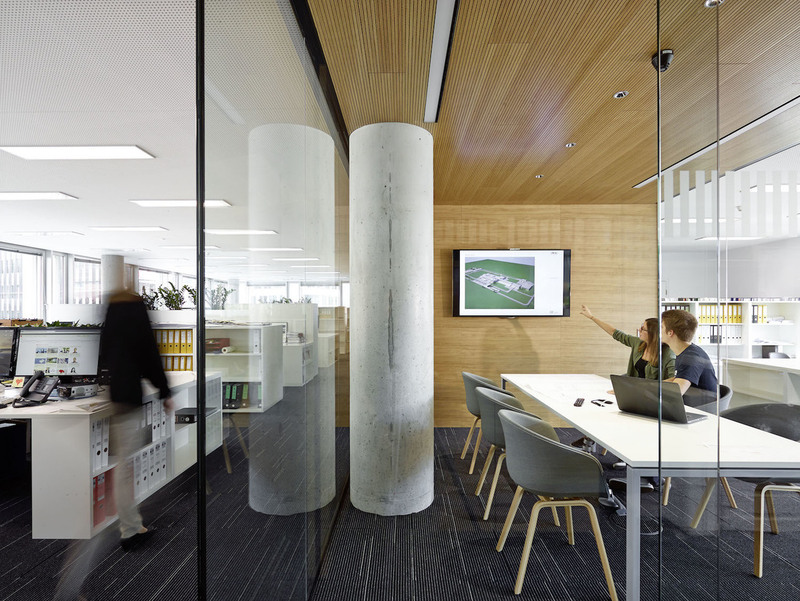 The project became a possible prototype for the future modernization – or new construction – of every ATP office. 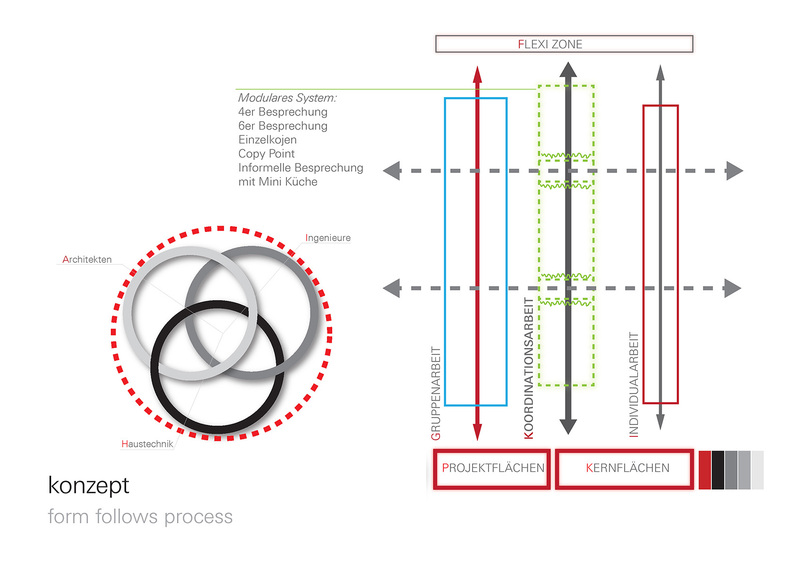 A key advantage is the compatibility of the concept developed during the course of the project with every refurbishment task. 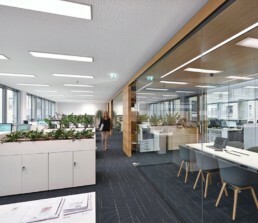 And with its forward-looking design and state-of-the-art office technology the solution is most notable for its tailor-made response to the needs and requirements of integrated design. 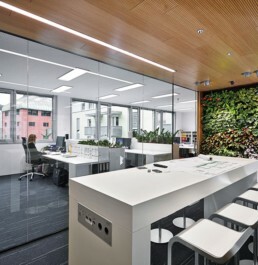 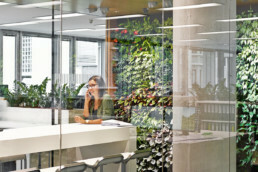 As well as optimizing the use of space per employee, ATP places particular emphasis on health, well-being and comfort. 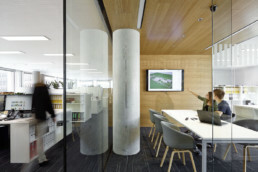 Light-colored furniture combined with warm, dark timber elements, acoustic ceilings, low-emission building materials and highly modern building services create an agreeable working environment. 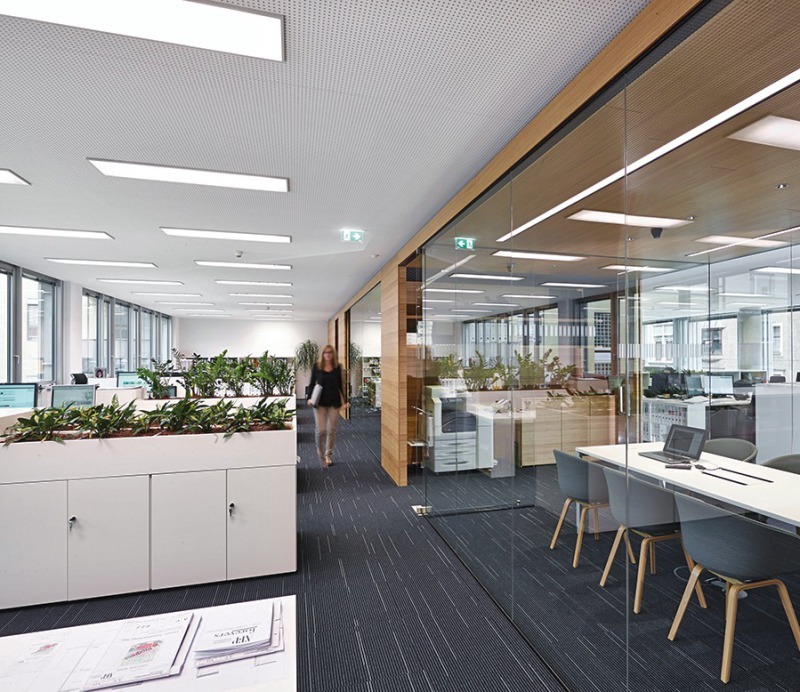 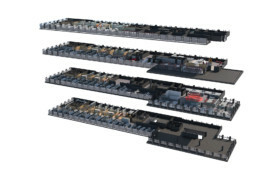 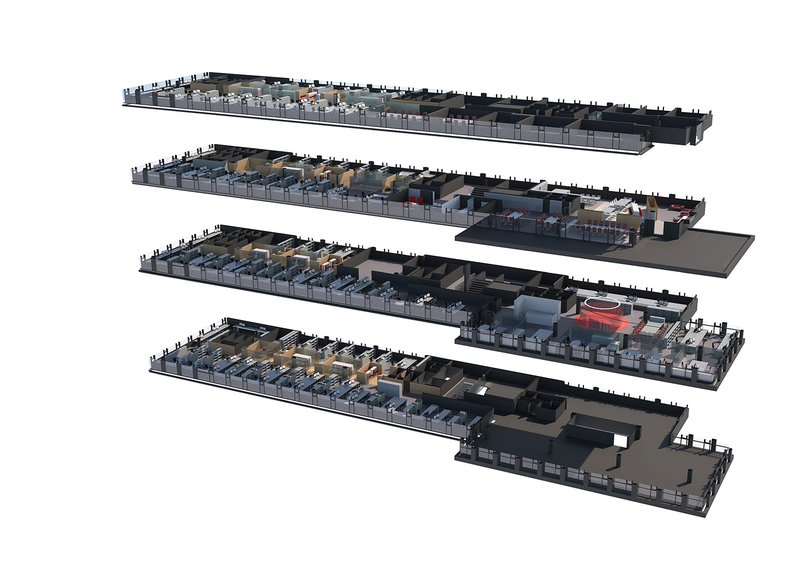 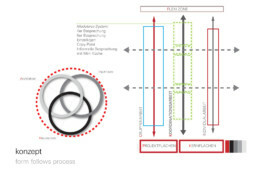 The architects and structural and building services engineers have the option of three workspace variations for their simultaneous and interdisciplinary cooperation: open office structures, areas for dynamic group work and the BIM room.